Buto is a 3D point and click adventure game about a tiny bug who sets out on a journey to find his friends' stolen emotions. 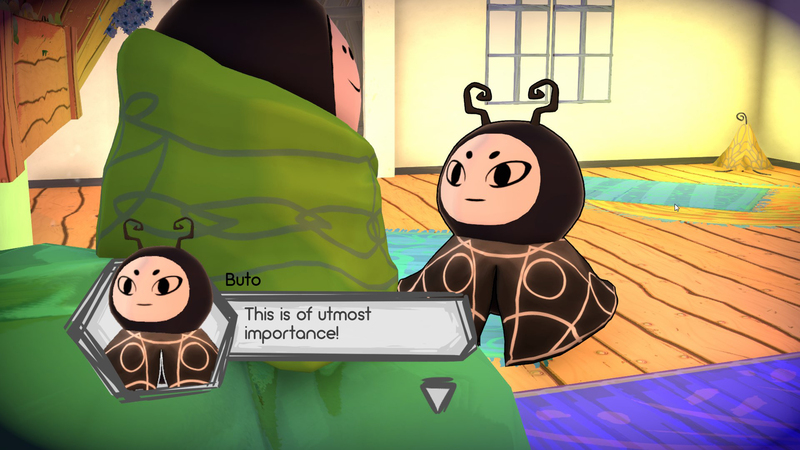 Explore Buto's world, meet zany characters and use the powers of emotions on a quest to return everyone's emotions. This is the updated demo build of the first area in the game, shown at Grid AKL, Auckland Armageddon and PAX Australia. Try it out and show your friends! 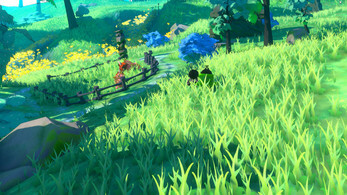 The game has come a long way since our original Pre-Alpha Release, so we'd be thrilled if you could send us your feedback through Facebook or Twitter and if you're interested in the game's development, follow our Devblog! I thought this was super adorable. I do agree with other people about the camera, but I also think that it was hard to get around, since I was so confused as to where I was going. I did really really like the humor in the game, and hope it continues on in the full game. I just played the game and I found it really good! It has really good loking Graphics and is entertaining. 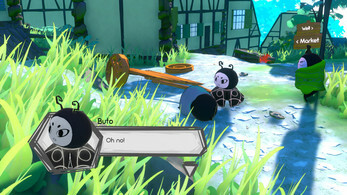 I had two problems, 1 the biggest problem is that I want to play it more (I know that thisis a demo but I still want to play it more) (I know that it is not a problem!) but also I had some troubel with the camera, it was hard to move around in certain ares beacuse of the camera. I really liked the game and I want to play the full game when it realeses! Hey! I've just uploaded a letsplay video of your game and i must say i had a blast playing it! If you're interested, check it out! Really loved the artstyle and the story seems really interesting! Can;t wait to see more. 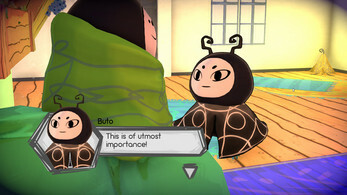 I've done a video on Buto and all I Can say is wow. First of all, if I yach on in the video i'm really sorry I was just erm, happy to be playing the demo. if I can add a few points though. 2. It would be uber amazing if you could pan the camera around but if it can't be done then I don't care. I will wait for the polished game to come out and buy it. I can see lots of hard work has gone into the demo and I was just well, in awe. I thought it was just fantastic. Also, I thought I would get a little bored of the background music but in all honesty I didn't. If you want me to redo the video then let me know. I don't like to rehearse as I like to keep the video as it is. Oh, I nearly forgot. I'm like to make the intro into an 8 hour screen saver because I think it would look great if it was played on 50-800 inch TV in a showroom so it could be seen from a distance. It would look absolutely fantastic providing you give me the nod to do so. Thank you so much for the video, that was a joy to watch! I'm so happy you like what we have so far. The Fervid Mountain will be a feature later in the game, in fact chapter six is set all on and around it! We've been working hard on being able to nudge the camera a little with the mouse. It's turned out to be one of the biggest technical challenges so far, but we might just start trying twice as hard to get it working now! Feel free to use the intro to make a screensaver, that's no problem at all. Thank you again, it's really motivating to see people enjoying the game!